All-inclusive solutions for chemotherapy regimen management, adverse event management, dosage calculation, and workflow management. Does your specialized field of oncology require customized solutions for the management of health records? Is your in-house team lacking the expertise to handle oncology EMR services and patient care? Oncology EMR, being vital for clinics and hospitals to build a reliable, evidence-based and high-performing knowledgebase can save time for medical professionals and help them make informed decisions. O2I takes care of the entire gamut of oncology EMR requirements efficiently and cost-effectively. We have worked with many EMR software available in the market and have deep expertise in optimizing those tools for our clients' needs or developing our own oncology EMR software to meet the precise requirements of their medical practice. By outsourcing oncology EMR services to O2I, you will be getting 100% compliant, accurate, fast and high-quality services. With the use of right technologies, we seamlessly handle the task of intelligent ordering, admin management, clinical workflow management, automatic charge capture, NCI's CTCAE adverse event documentation, decision support, automated drug dosage calculation, chemotherapy regimen library, drug utilization forecasting, safety alerts, PACS/DICOM imaging, and much more. We help capture all the treatment data in complete compliance with ONS guidelines. Our services improve the quality of care and staff productivity. In oncology practice, the patient encounter is long and complex. 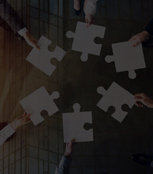 With effective workflow management, this task can become more efficient and predictable. We help oncologists in building pre-defined workflows and treatment plans for various ailments. Through these therapy cycles, the medical staff remains well-informed about the treatment schedules, drug forecasting, historical treatments, performance scales, adverse events, etc. They are able to easily manage parallel therapy cycles with ease and finesse. O2I can also help in building treatment regimen library that has complete citations to clinical guidelines like NCCN and ASCO. O2I provides end-to-end billing services to oncology practitioners all over the world. 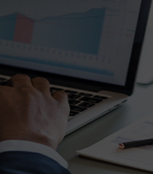 Our services include fee schedule analysis, eligibility verification, charge capture along with appropriate CMS billing codes, claim management, denial management, insurance payment posting, e-submissions, analytics, reporting, forecasting and more. Managing the stock of specialty oncology medications that are required for various treatments are extremely vital for independent clinics as well as hospitals. O2I helps in inventory optimization across locations, wastage determination, initiating order alerts, tracking usage and expiration dates, carrying our drug utilization forecasting, and ensuring that your clinic remains well-stocked at all times. We have worked on hundreds of EMR or EHR tools for our global clientele and know what are the pros and cons of each tool. We can help oncologists select the right technologies and solutions that not only save time but also act as the best choice to meet their super-specialized requirements with ease. Making a transition to a new EMR solution is always a huge challenge for most medical practice. O2I can help with a quick and seamless transition of old, outdated, or paper-based data to new and innovative systems without causing any disruptions to the current operations. We will ensure that your new system is totally integrated with health information exchanges, labs, pharmacies, hospital networks, and referral networks. We can also create custom-built templates, forms, and workflows wherever needed for meeting the specific requirements of your oncology practice. Our expertise in software development helps us in delivering highly customized solutions to our clients. 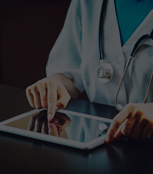 Although there are many EMR tools available in the market today, many oncologists have turned to us for building a customized EHR solution from scratch. 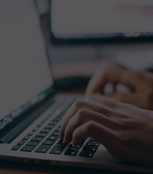 Outsource2india has over two decades of software development experience and we can build extremely powerful and well-aligned solutions that meet all your oncology EMR requirements efficiently. Why Should You Outsource Oncology EMR Services? When you select O2I to outsource oncology EHR services, you get a dedicated partner that helps in optimizing your entire oncology practice with a mix of tools, technologies, and services. We help you remain compliant, improve patient care and experience, forecast with confidence, and take everyday decisions with intelligence. We are ISO 9001:2015 certified thanks to our sophisticated approach in oncology EMR services. O2I is an ISO/IEC 27001:2013 certified company that handles your data with care and concern. Medical data is extremely sensitive and confidential. Therefore, we have well-defined processes and practices to ensure that there is no breach. Our entire team is trained to maintain 100% data confidentiality. When you outsource oncology EHR services to us, you can rest assured that your confidential data is in safe hands. Our clients consider oncology EMR services again and again because we ensure optimum quality and compliance with medical and international codes, guidelines and norms. The oncology EMR services can be completed in a quick turnaround time because we have the right resource and team to fulfill the service levels assured to our clients. The Oncology EMR services can be scaled with ease. Talk to our agents to understand how you require the service and we will customize the service to ensure it is ready to scale up or down. By outsourcing oncology EMR services to us many of our clients have been able to reduce their EMR and practice management costs by 30-40. This is primarily because of our global delivery model, deep domain expertise, and competitive pricing. Outsource2india can become your one-stop solution provider for all types of services related to oncology EMR management. We help healthcare institutions with additional services like data entry, medical transcription, digitization, referral management, consent management, reporting, analytics, and much more. We also employ a dedicated project manager for each client. The project manager takes care of the entire engagement, team management, execution, and quality assurance. We have an experienced team of certified medical professionals and trained resources who are familiar with various categories of drug codes and compliance standards in different regions and countries. 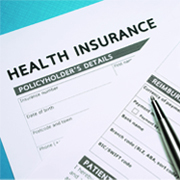 Our team is well-informed about maintaining and following HIPAA guidelines, P4P guidelines, oncology billing codes, ICD-10, Medicare Part D, clinical guidelines like NCCN and ASCO, etc. We also offer regular training to our team on various EMR tools according to the client needs, so that they are ready to serve you with ease. You can take advantage of our robust infrastructure that has been put to test in different scenarios. Our security, technology, and software systems are routinely updated to enable our team to deliver better and accurate results. Sharing data is fast and secure with O2I because we use high-end VPN and SFTP that allows transfer of confidential data without risk of your data falling into wrong hands. Outsource2india is available to you round the clock, throughout the year. Our global delivery model helps in managing all the back-office tasks at our offshore location so that you get quick-turnaround at a lower cost. Our client negotiated with insurers on EndoPAT coverage by leveraging the research data on DME products and reimbursement that were fetched by O2I using qualitative research. 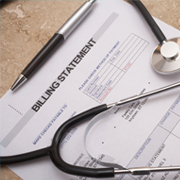 The client's medical billing backlog was resolved in a professional way within 12 hours. Outsource2india completed the service within 12 hours and the client was immensely satisfied with the results. Outsource2india offers reliable, customized and compliant oncology EMR services in India and several other healthcare BPO solutions. We have been serving independent practitioners, oncology clinics, and specialty hospitals globally for over 20 years with our specialized range of medical workflow management and electronic health record management services. We have a vast experience of working with medical professionals in all fields and are sensitive to the kind of challenges they face and the solutions that can help them optimize their practice with ease. You can rely on us for high quality, low cost, and dedicated oncology EMR services. Contact us today to get a quote and find out how we can help you.